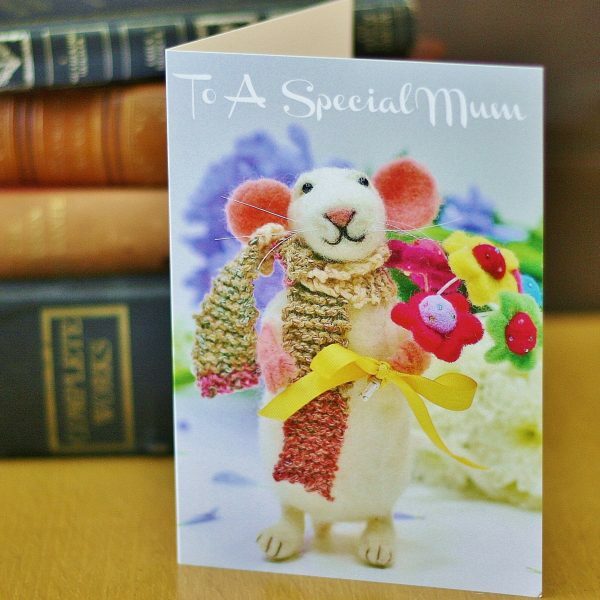 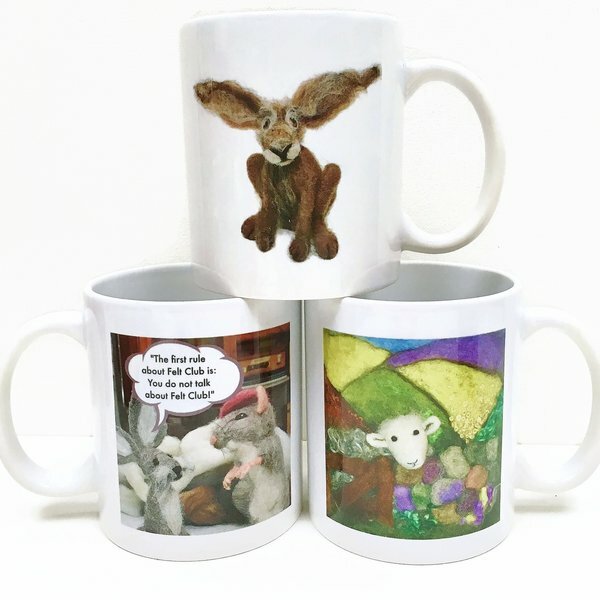 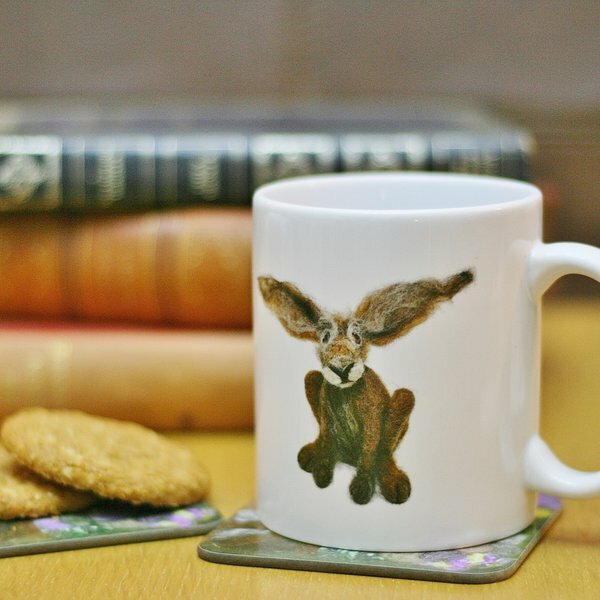 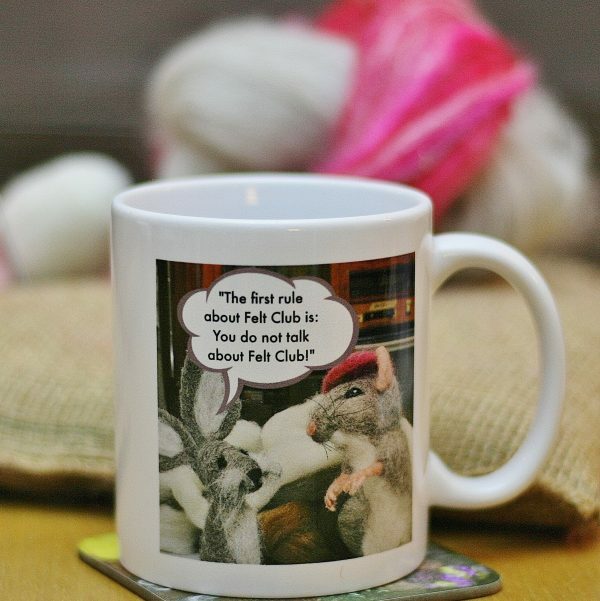 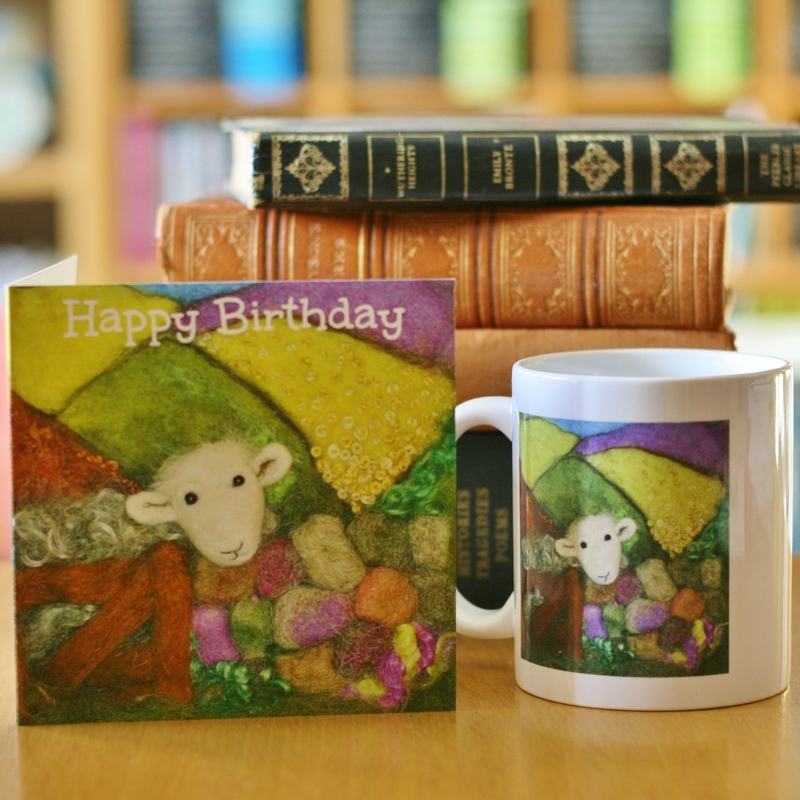 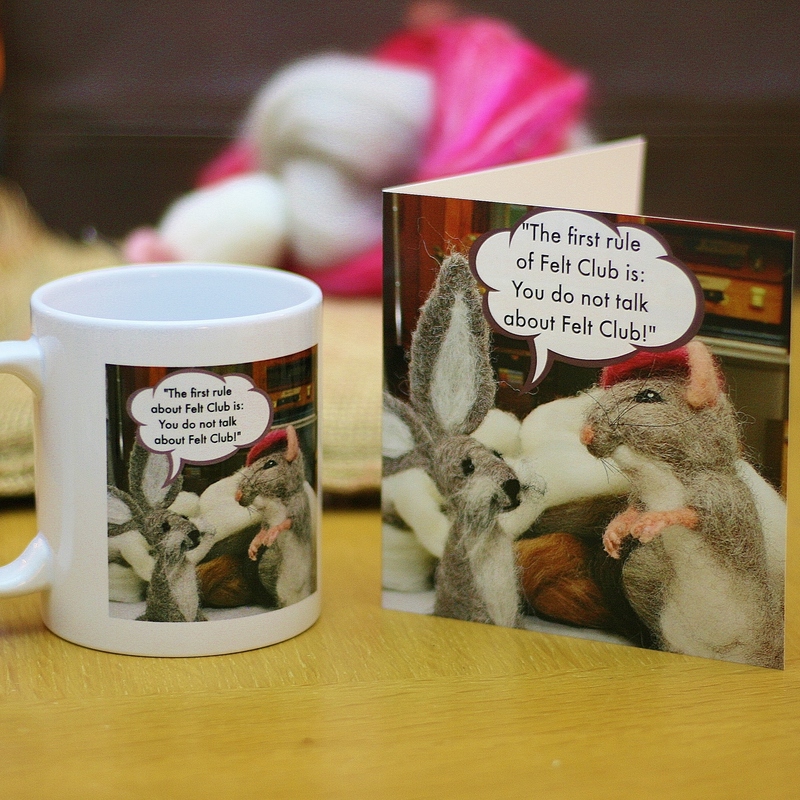 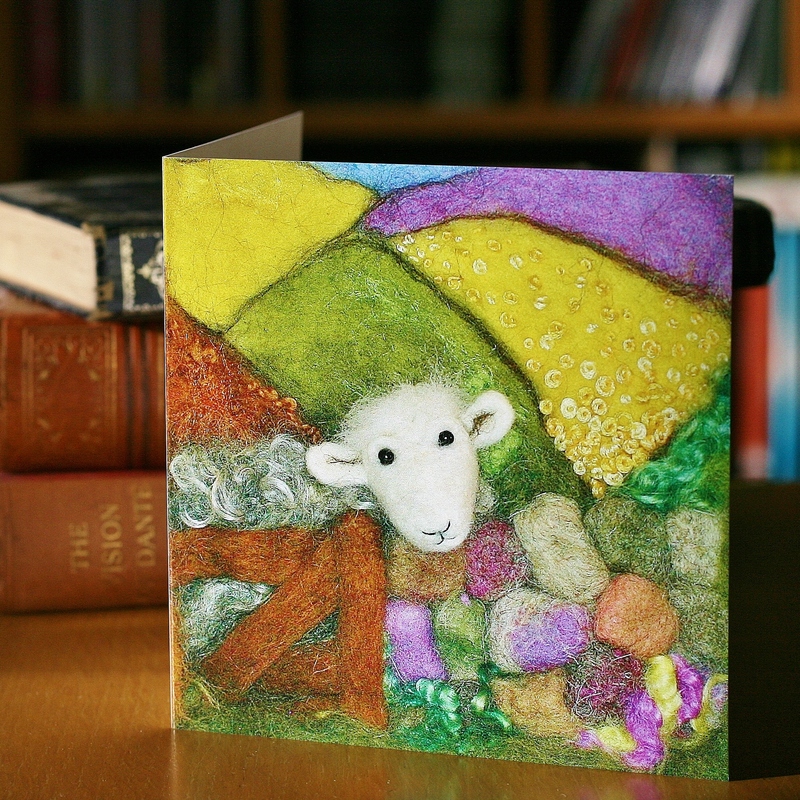 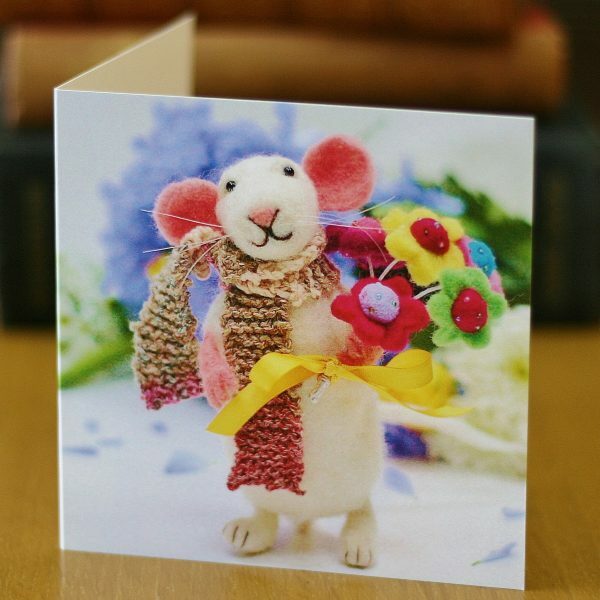 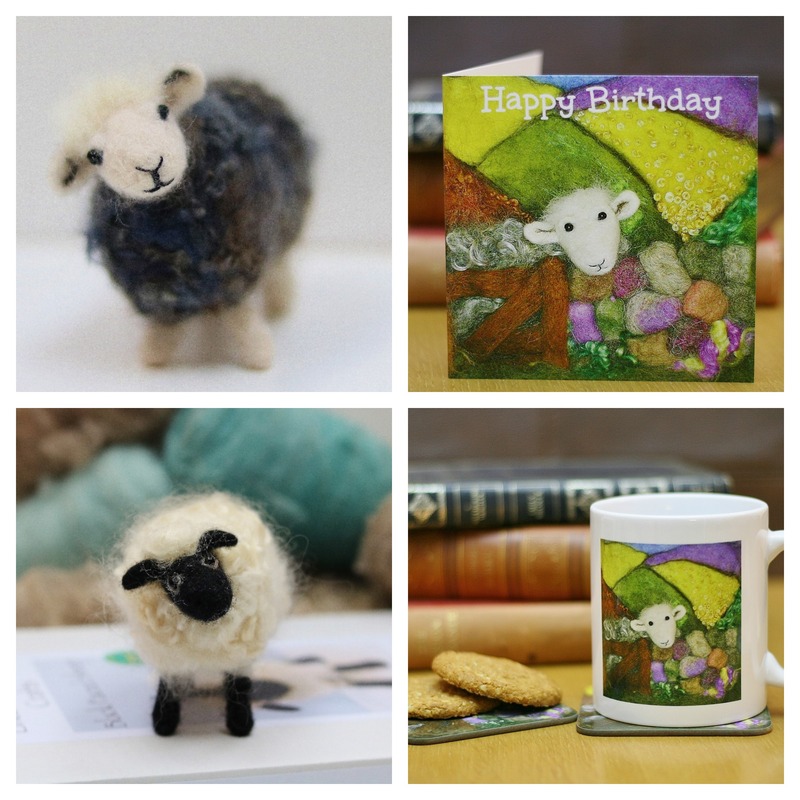 A lovely gift set containing one of my award winning sheep needle felting kits, perfect for beginners, plus a lovely mug (printed both sides) and card printed with my needle felted art. 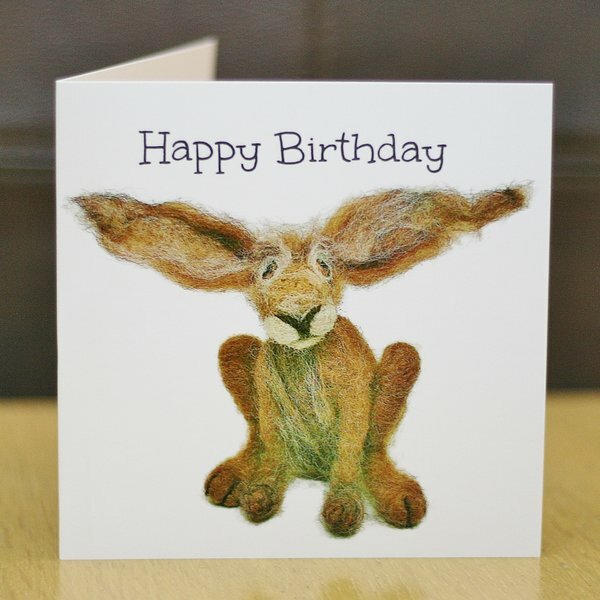 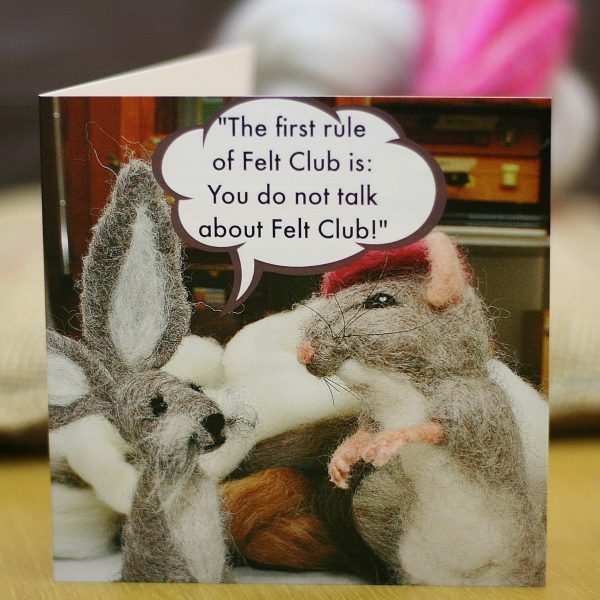 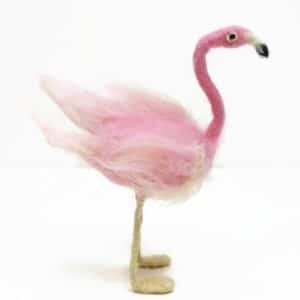 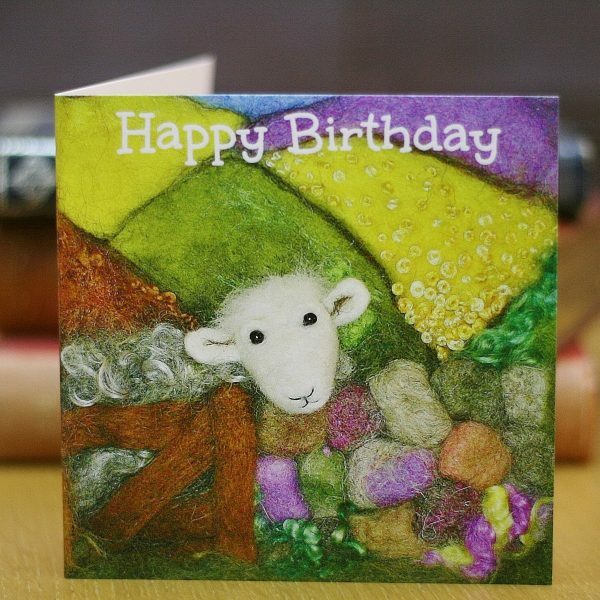 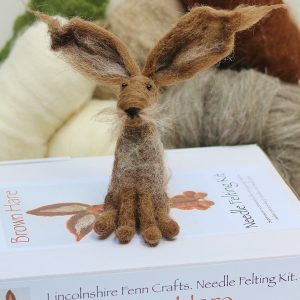 Each needle felting kit is beautifully presented in a sturdy A4 gift box. 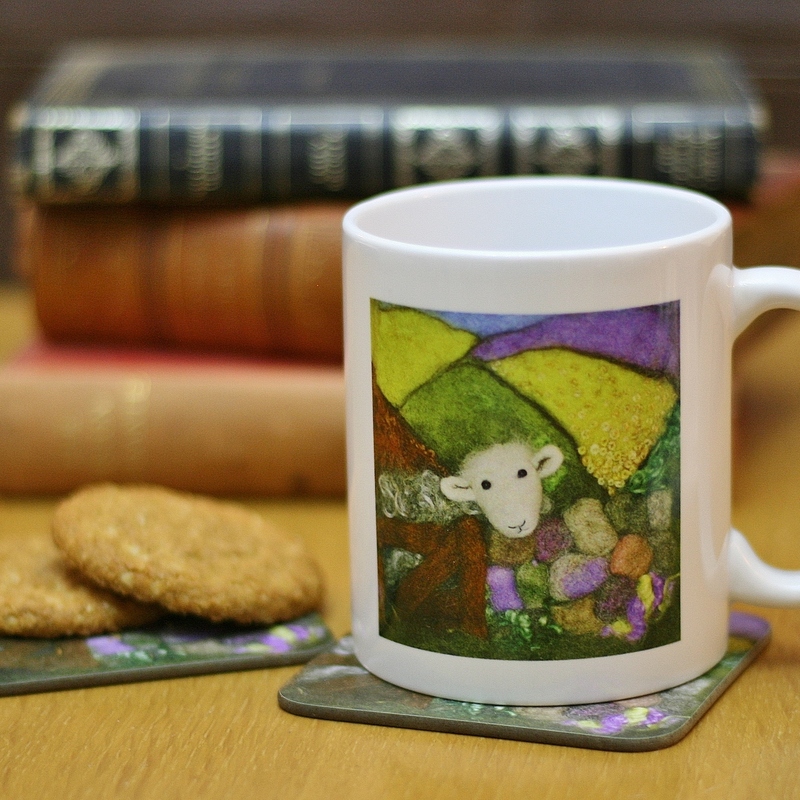 The height of the sheep, when completed, is approx. 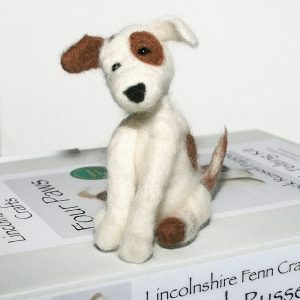 9cm.